Design & Engineering | Bayside Mechanical Inc.
Our team has over 50 years of experience. We can handle projects from single family homes to multi-story buildings and everything in between. We can custom tailor our builds to work within your allocated budget. We also specialize in industrial design and installations. We handle every job we do from start to finish. We do the engineering, layout & design, project management, fabrication and service & maintenance. We create our CAD drawings using our in-house team of engineers. We do our own design and construction. We also have our own in-house custom sheet metal fabrication shop where we can create any necessary components needed for any HVAC project. We also do duct testing for airflow leakage and efficiency. We make sure every system is running as efficiently as possible! By having our own in-house teams we are more responsive to any issues that may arise during build-out, permitting or maintenance. We were one of the first Bay Area HVAC companies to be a certified green company. 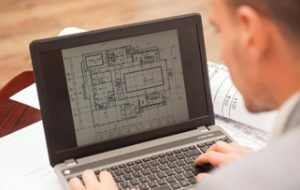 We have you covered for all your Bay Area HVAC design & engineering needs.